Dr. Harrison, believes that true quality dentistry can only be achieved when the dentist focuses on one patient at a time. Every patient that we treat deserves and requires our full and undivided attention. In keeping with that philosophy, we never double (or even triple) book patients, like so many offices. Quality dental care and personalized service is too important to be compromised. If our style of dental care sounds appealing, we invite you to become part of our dental family. We assure you that we will do everything possible to make your smile beautiful and maximize your dental health. 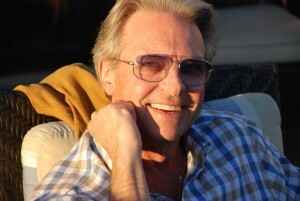 Dr. William D. Harrison is a Brentwood (Los Angeles) native. He obtained his dentistry degree from UCLA where Dr. Harrison was the protegé of Dr. Frank Kratochvil – a legend in the field of prosthodontics and founding chairman of UCLA's Department of Removable Prosthodontics and Advanced Prosthodontics. Dr. Harrison taught Prosthodontics at UCLA for over 20 years. Dr. Harrison has been active in the American Dental Society and it’s local components. He is a past president of the Western Los Angeles Dental Society and also served as it’s Peer Review Chairman. He has been active in many community and charitable organizations as well as being involved in his church. If you have any questions or concerns, please contact Dr. Harrison today.